After a little bit of whimsy? 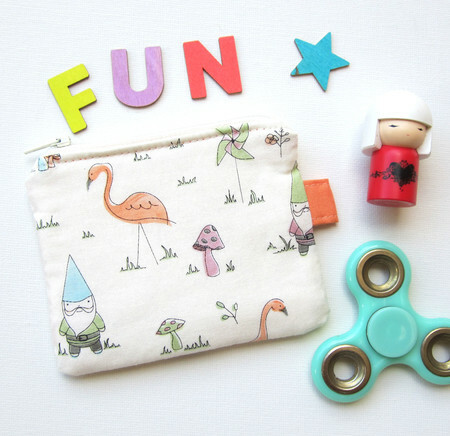 Well here is a fun small zippered pouch or coin purse in a Gnomes and Flamingos theme! It is the perfect size for kids to carry their collector cards, money, school gold coin donations or lipstick and cards for an adult because there is someone young inside us all! The fabric is 100% cotton. The background colour is off white with orange, pink, green and blue highlighting the characters. 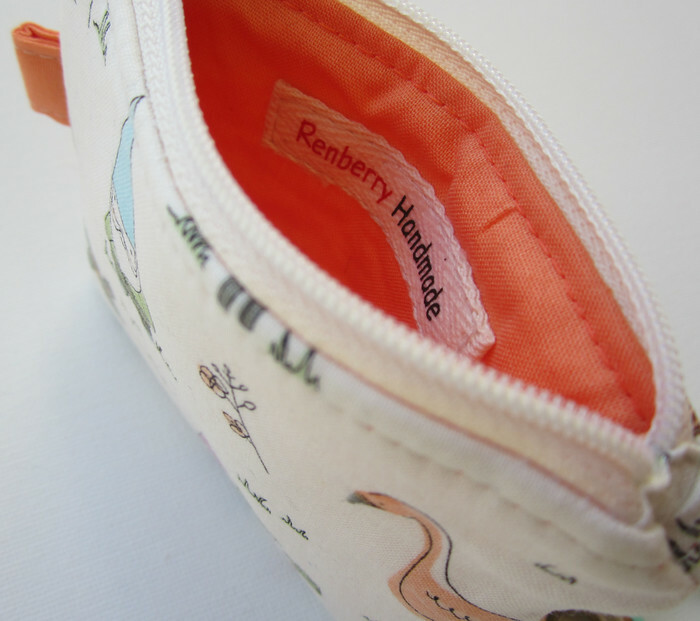 There is orange cotton fabric in the inside and an off white coloured nylon zip provides closure. Care instructions- Spot clean only. Find Renberry Handmade on Facebook and on Instagram. Follow me to find out about new products or fabrics and when I will be doing a market near you. 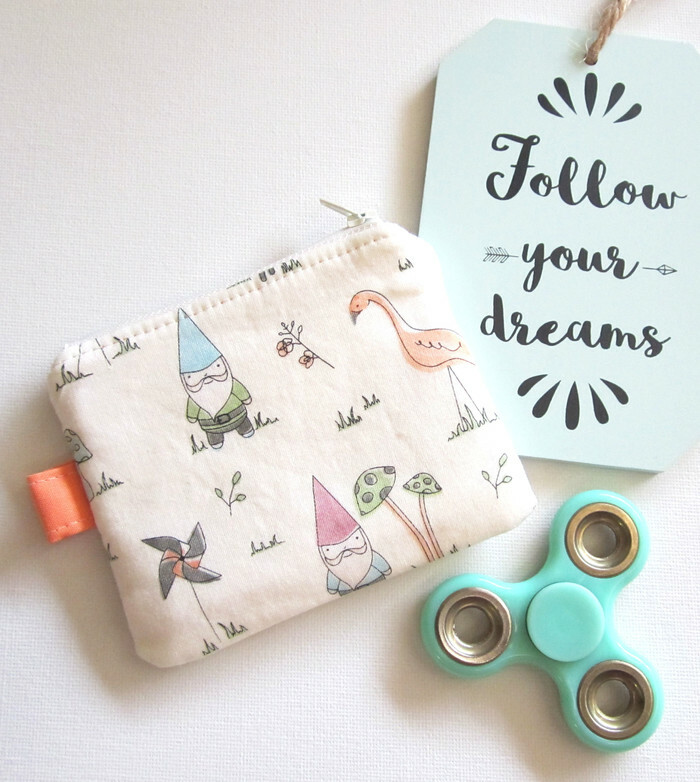 (Coin pouch, pouch, pencil case, clutch bag, tote bag, shopping bag, handbag, zipper pouch, custom order, nappy wallet, nappy bag, key fob, school formal bag, messenger bag, satchel bag, cushion cover).